The Father Of 2 Sons With Schizophrenia Talks About Struggle To Care For Them : Shots - Health News "There is no greater ... feeling of helplessness than to watch two beloved sons deteriorate before [your] eyes," says Ron Powers. His new book is No One Cares About Crazy People. Powers' younger son, Kevin, was a talented musician whose struggles with schizophrenia began at age 17. Just before his 21st birthday, in 2005, Kevin took his own life. A few years later, Powers' older son, Dean, started experiencing symptoms of schizophrenia and had a psychotic break. 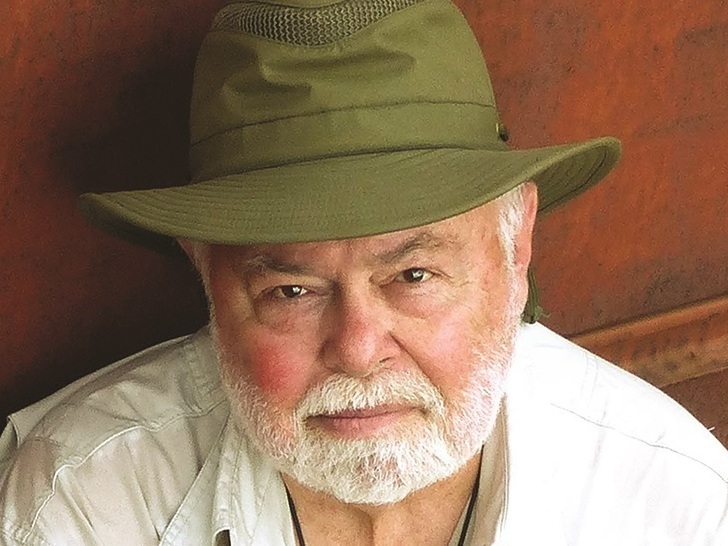 Ron Powers, a Pulitzer Prize-winning journalist and media critic, wrote Flags of our Fathers, which was adapted into a film by Clint Eastwood. "There is no greater ... feeling of helplessness than to watch two beloved sons deteriorate before [your] eyes, not knowing what to do to bring them back," Powers tells Fresh Air's Terry Gross. 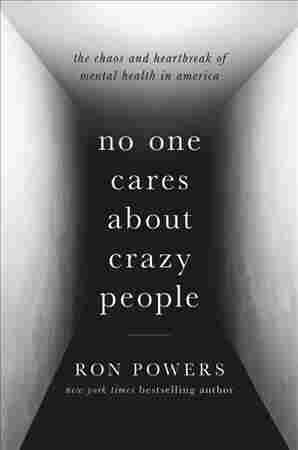 Powers' new book, No One Cares About Crazy People, is both a memoir about his sons and a history of how the mentally ill have been treated medically, legally and socially. Although Dean is now medicated and doing well, Powers notes that many people with schizophrenia don't receive the treatment they need — in part because they often don't believe they are ill.
"This unwillingness to believe that one is afflicted has led to tremendous problems," Powers says. "To force that person into being helped is a violation of his or her civil rights ... and the law may penalize the care workers who give [people with schizophrenia] medications or admit them to a hospital against their will. 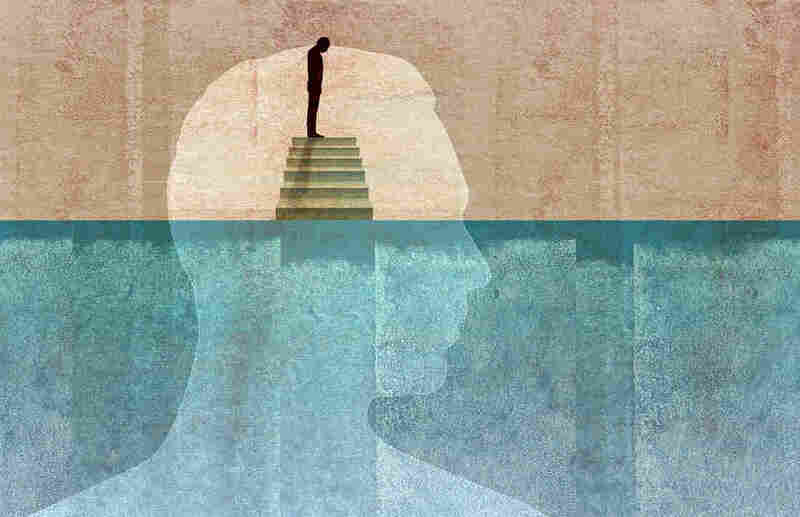 ... That is the great reigning Catch-22 of the way our society deals — or fails to deal — with schizophrenia." It has to do with the maturation of the brain. ... In order to start functioning as an adult brain, the brain must undergo a period of what is called "synaptic pruning," really a cleansing away of all of the neurons, all of the connective material that is built up since infancy. That is no longer useful and it's quickly replaced, but there is a period of vacancy, almost, in which the brain is very vulnerable to any kind of disruption. It's unprotected, and this is the period of life, roughly clustered around the age of 17, when the disease can make its appearance. Each of our sons was afflicted with this companion condition called anosognosia. ... [It's] defined as an inability to understand the self, a blockage of insight into what is happening. Many, perhaps most, of schizophrenic victims deny that they are schizophrenic, and this has led to many important social and legal and ideological conflicts. ... The denial that took place, with Kevin the symptoms occurred before he reached the age of 18, meaning he could be treated without his consent. He was a juvenile and he was taken into care and custody without his consent. Dean is accountable to a clinician. He has to report; there is a record of him taking his meds. Kevin was taking oral medication only on his own consent and we weren't sophisticated enough to perceive that instead of taking the meds Kevin might be hiding the meds. This happened in the later stages of his descent and it was after he finally announced to us, "I'm fine. I'm healed. I'm OK, I'm not going to take my pills." He was hearing voices. We know that. We could watch him through the kitchen window as he walked out of the house and toward the hot tub that he loved to sit in. We could see him climb into the hot tub and sit down, his profile was to us, and we could see him laugh. He would laugh, he would giggle. ... Something was talking to him, and I think because of that happy response we saw from him we told ourselves that he had made friends with the voices, that the voices were beckoning him, they were coaxing him into their world, and that he finally decided to join them. I don't know whether that's true or not. I'll tell you that it got me through the first five years of trying to figure out where Kevin's mind had gone. In the dreams Kevin is alive. He's a small boy, around 10, 11, 12 years old. We know he's a gifted guitar player, but he's stopped playing his guitar, and he won't start again. The odd thing is that both Honoree and I have had this dream. It might be a metaphor for his death, but he shows up, almost every night, as I say. ... I'm glad to see him. In the dreams he is etched so perfectly. The reality of him, the physical sharp-focused reality of Kevin is overwhelming and all of his kindness and his goodness are there. The advent of the so-called "wonder drugs" like Thorazine ... were touted as cures for schizophrenia — they weren't. At best they were cures for symptoms. But on the strength of Thorazine and its great consumer success and promise, President Kennedy, seeking to do the right thing, signed legislation ... in 1963 ... that authorized the emptying out of mental asylums and the transferring of their patients, their inmates, hopefully into community care centers that were going to be built around the country to receive them. Deinstitutionalization was a catastrophic social experiment, one of the worst we've ever had. It ended up creating the [mentally ill] homeless population that still plagues us today. The second terrible effect of deinstitutionalization was that many of the people never ended up in the community centers. The government ran out of money. They couldn't build enough to contain this outflow of patients, so they ended up on the streets, and from the streets they ended up in prison. Many of them. Today our prisons are overflowing with the mentally ill. Prisons are our de facto mental hospitals.